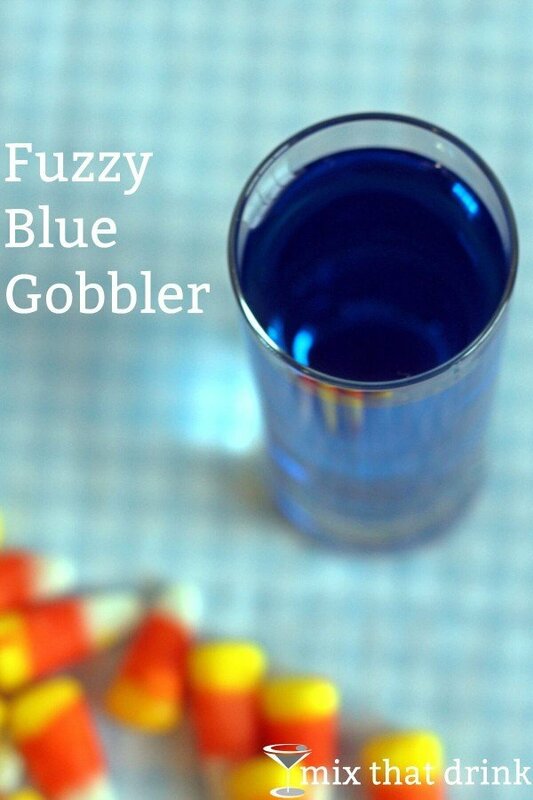 The Fuzzy Blue Gobbler cocktail features Maui Blue, a schnapps with an orange flavor. 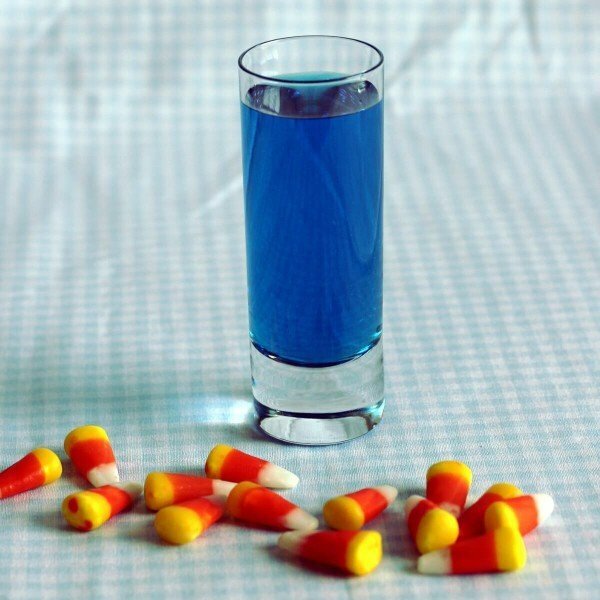 If you don’t have it on hand, you can substitute Blue Curacao. It’s a strong little shot, all alcohol, and no mixers. This drink is peach meets orange meets whiskey. That makes for a fruity combination that’s got some bitter undertones from the whiskey. How much you like it will probably depend on how much you like Wild Turkey. People don’t always give it much of a chance. It has a strong flavor with some notes of vanilla and oak, but it burns like a bourbon, and that’s not everyone’s cup of tea – so to speak. I won’t tell anyone if you decide to substitute a different whiskey in this drink, but you should try it at least once with the Wild Turkey. Try one as a nightcap or right after dinner. It’s also great for parties because it’s a very easy poor – no shaking or stirring required. You just pour and serve, and the flavor is so nice that most guests will love it. And those who don’t will probably be happy with a plain old shot of whiskey instead. If you’d prefer a cocktail with a little more whiskey and less of the fruit flavors, try the Kentucky cocktail, which features two parts Wild Turkey to one part pineapple juice. It’s very easy to pair this drink with a meal if that’s what you’re in the mood to do. Whiskey cocktails cry out for whiskey marinades. Try making this Whiskey-Marinated Flank Steak with Wild Turkey as the whiskey base. The whiskey flavors in the food and drink will work terrifically together, and the orange and peach flavors in the drink will make a nice contrast to the smoky and savory flavors in the meat dish.